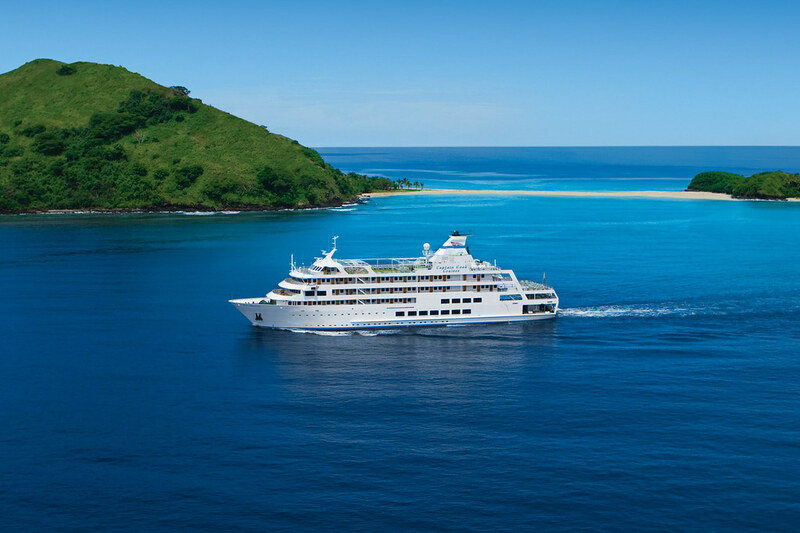 Captain Cook Cruises Fiji has completed its $2 million refurbishment of small ship cruise vessel, MV Reef Endeavour which hosts three, four, seven and eleven-night cruises around the Mamanuca and Yasawa Islands and remote northern Islands of Fiji. The refurbishments occurred over a three month period, beginning in February when the ship was in dry dock. Ship refurbishments include a soft refurbishment of all suites, staterooms and cabins including new pillow-tops on all mattresses, new blinds, mirrors, wall art by marine photographic artist, Wendy Morris, fresh paint, cushions, new linen and Pure Fiji Coconut amenities in all rooms. All suites, staterooms and cabins were refurbished by Maree deLatour from FURNZ, a leading New Zealand interiors business. Stage one of a new en-suite installation in all cabins, staterooms and suites is now completed with all staterooms and suites on A deck featuring a new en-suite. The MV Reef Endeavour’s sundeck has been completely refurbished with new carpet, charthouse, jacuzzi and windbreak glass to protect the alfresco dining area. C Deck has been fitted with new public bathrooms and new windows have been installed in the Lounge and Dining rooms. The whole ship has also been given a completely new coat of paint. “We strive to continually give our passengers the best cruise experience and we believe our recent ship refurbishment only adds to making this experience even better.” Continues Ms Charlton. The recent refurbishment follows an extensive ship rebuild and renovation in 2011 with the building of new suites, interconnecting family rooms and a refurbished spa and gymnasium. Then in 2012 new al fresco outdoor furniture including sun beds, lounges and tables and chairs were installed around the pool and on the sun deck and the lounge and dining room received new carpet and furniture completing the make-over.